Mexico F1 Grand Prix with a little extra! 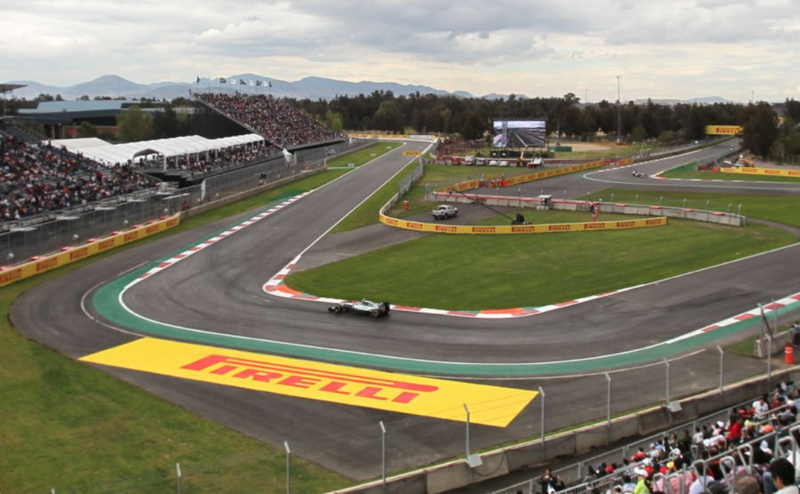 The Grand Prix returned to Mexico in 2015 after a long absence, and it’s quickly risen to be a popular event and staple of the year race circuit in the Grand Prix schedule. 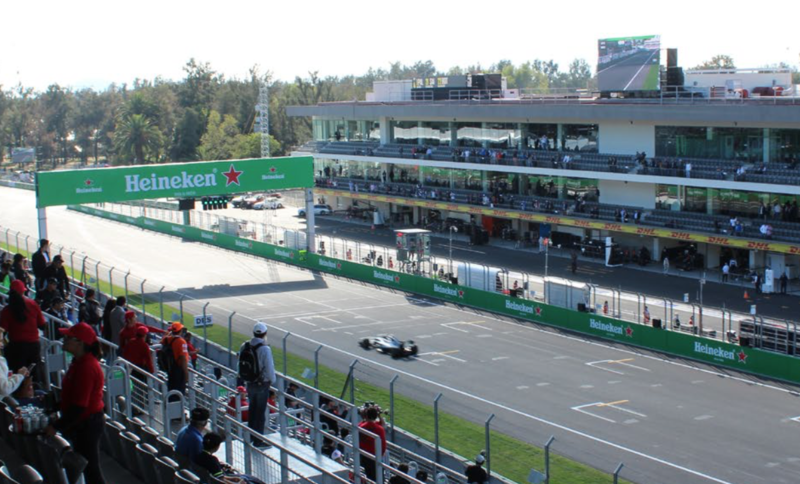 The atmosphere, setting, and local enthusiasm for the sport makes Mexico an excellent venue to enjoy Formula One just outside of the historic Mexico City. For a luxury experience for your race weekend, there are many hospitality packages available for the Mexican Grand Prix. We’ve taken a look at some of the best options available and listed them below – if you’re interested in booking a hospitality package for the Mexican Grand Prix 2017, just fill in our enquiry form and we’ll find the best options for your requirements. The luxury Formula One Paddock club provides unrivalled views and access to the Formula One experience, with an energy, atmosphere and attention to detail that you’ll experience nowhere else. The Paddock doesn’t just provide the atmosphere for enjoying the race weekend, it is also the premier location for prime race-viewing and exception hospitality, with care packages catering to every detail of your weekend experience, ensuring you enjoy your Grand Prix experience in the ultimate luxury. The ‘Ultimate Package’ caters to every possible detail you could want when attending the Mexican Grand Prix. This package provides premier race-viewing with unrivalled views and access, as well as covering every other aspect of your weekend from exclusive accommodation options to fine dining and entertainment. Guests will also have access to one of the most exquisite hotel options in Mexico City, VIP access to the exclusive Grand Prix Amber Lounge Party, pit lane walks, access to the Support Race Paddock, and you’ll be able to enjoy an open bar and fine-dining throughout the day, ensuring you enjoy the events of the F1 unfold with every need catered to. The Platinum Hospitality package is an excellent choice for guests looking for unrivaled trackside viewing with the added luxury of a gourmet dining experience. Guests on this package receive a 3 day ticket with main grandstand access, with excellent viewing of the circuit as well as live action TV coverage of the race. The platinum package also includes an fine-dining experience with an F1 legend on the Friday! This exclusive hospitality package includes a 4-night stay at one of the top Mexican hotels, Grand Hotel Ciudad de México. This 5* Hotel is unlike any other, with stunning turn-of-the-century Art Nouveau decor and a timeless sophistication that will transport you to another era. Located in the centre of Mexico City, guests are able to enjoy spectacular city views from one of the most opulent settings in the city, with easy access to the race circuit to enjoy the events of the Grand Prix each day. You can also enjoy fine dining at any of the hotel’s 3 restaurants. The Amber Lounge is an exclusive Formula 1 part that follows Grand Prix events across the globe, and you can experience it as part of a hospitality package at 2017’s Mexican Grand Prix. Amber Lounge Mexico provides an unforgettable experience with a two-day, non-stop party weekend with an open Champagne bar, incredible DJ entertainment and live performances. Guests to the exclusive Amber Lounge party will have the chance to mingle with drivers, celebrities and socialites from all over the globe, and provides a truly memorable experience as part of your Grand Prix experience. Enter F1 have partnered with the leading suppliers of luxury hospitality packages for Grand Prix race weekends, enabling us to find the best prices and options for our customer’s needs. Just fill out our enquiry form to discuss booking your VIP race weekend and we’ll be happy to help you find the best solution for your requirements.